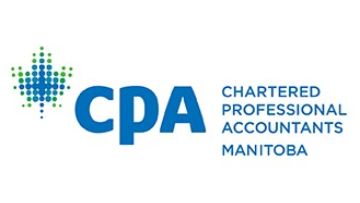 The Chartered Professional Accountants of Manitoba (CPA Manitoba) is a professional regulatory body that represents more than 9000 CPA members, candidates and students. CPA Manitoba protects the public interest through rigorous educational and certification programs and ensures its members uphold the highest professional and ethics standards. CPAs play key roles within diverse segments of the economy including industry, public accounting, government, education and the not-for-profit sector. They offer a strong set of accounting, managerial and leadership skills required for today’s complex and evolving environment. CPAs are broad-minded, forward-thinking professionals who undertake appropriate analysis, exercise good judgment, communicate effectively and act to protect the public interest. Direct Reports: 6 – Senior Director, Stakeholder Services & Engagement; Director, Ethics & Regulatory Affairs; Director, Finance; Director, Administration, HR & Operations; Director, Marketing & Communications; Executive Assistant. The Chief Executive Officer (CEO) will provide successful leadership by working closely with the Board of Directors and staff to achieve the goals and strategic vision of CPA Manitoba within a Policy Governance framework. The CEO will be responsible for creating a high-performance organization that develops and delivers CPA programs and services, providing regulation of those programs and services, and establishing/maintaining positive relationships with members and stakeholder groups. The CEO champions the vision, direction, and strategic ends of CPA Manitoba and the profession generally, and provides leadership to ensure integration, effective operations, regulation, ongoing promotion and growth, risk management and effective succession management of the organization. Reporting to the CPA Manitoba Board of Directors, the CEO will lead a senior management team and a committed staff, to maintain the successful integration of legacy operations, while ensuring high quality programs and services are provided to members, the effective and efficient use of resources, and the implementation of the strategic and business plans of CPA Manitoba. Culture: Develop and support the creation of an organizational culture that embraces CPA Manitoba’s core values and operating principles.